my teamies have made some wonderful examples pop along and have a look and leave them some pink love lol!!! Oh this is so pretty! 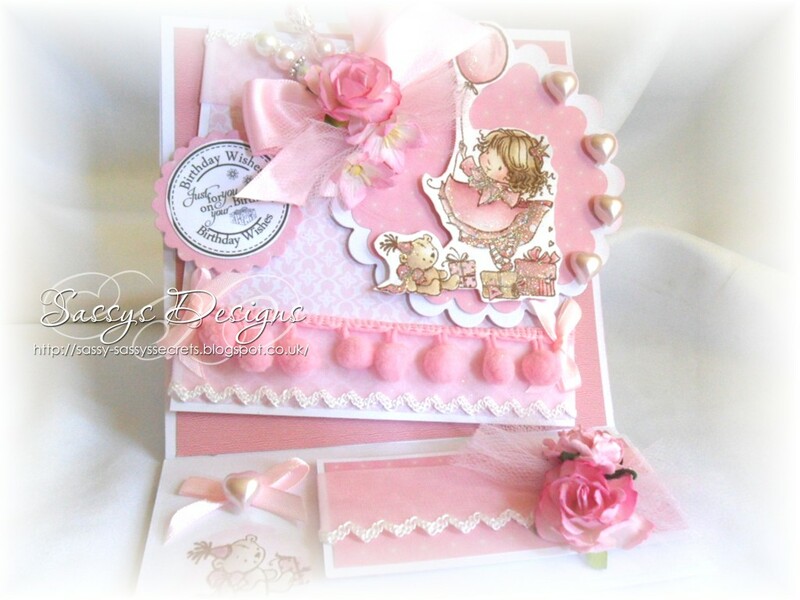 Everything about this is gorgeous!Love the pink and all the princesse like embellies and the pompons lace =)) Sooo cute! Gorgeous card Sassy. Such a lovely image and so pretty in pink. 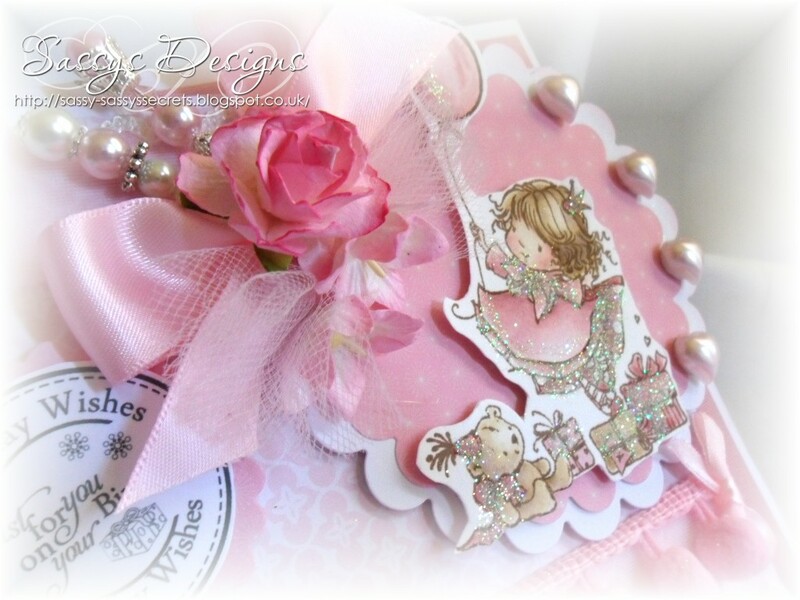 Love the layout and beautiful embellishments too.